Home NEWS BUSINESS & JOBS Who Is Trump’s New Year’s Eve Guest And Billionaire Pal From Dubai? At Donald Trump’s New Year’s Eve bash in Florida, he gave a speech to the guests in attendance and called out his friend and business partner Hussain Sajwani, according to a report from CNN. Who Is Trump's New Year's Eve Guest And Billionaire Pal From Dubai? “Hussain and the whole family, the most beautiful people, are here from Dubai tonight. And they’re seeing it and they’re loving it,” Trump said, according to CNN, referring to the ornate Grand Ballroom that he built at his Mar-a-Lago estate and golf course in Palm Beach, Fl. An attendee at the event provided CNN with video of Trump’s speech. Who is Hussain Sajwani? 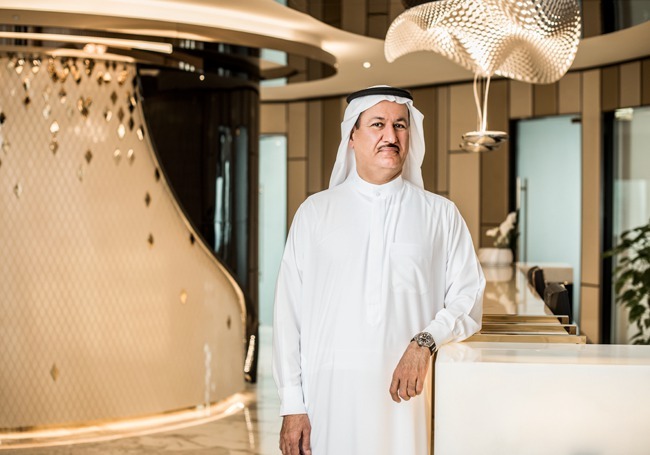 FORBES profiled this billionaire real estate developer from Dubai in March 2016. Sajwani partnered with Trump on a golf course at a luxury development called the Akoya not far from the heart of Dubai in the United Arab Emirates. “We made a deal with Trump as an organization; they know how to run golf courses,” Sajwani told FORBES early in 2016. “We stay away from politics. Turns out that both Trump and Sajwani share a fondness for flashy real estate. Sajwani has employed outrageous marketing to hawk his luxe apartments and homes. Bugatti-branded villas planned for a second community on 1,260 acres will feature another Trump International golf course—and include a space next to the glass-walled living room where owners can park and admire their Bugatti sports car.